This impulse foot sealer with cutter has an obstruction free throat allowing the use of roll-dispensed material to pack and seal. It can be adjusted to a 45- degree angle making it perfect for sealing liquids, powders, etc. 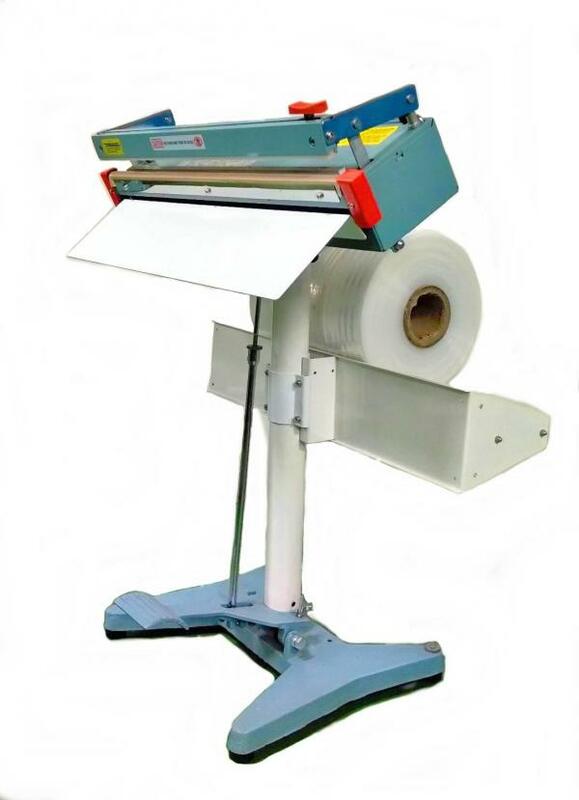 Equipped with a sliding blade for cutting excess material a quarter inch from sealing roll bags.